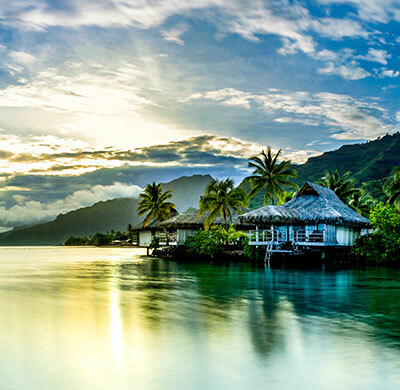 Huahine casts a spell over you from the moment you arrive. 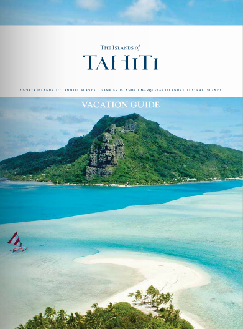 Only a 40-minute flight from the island of Tahiti, the enchanted Huahine, with its lush forests, untamed landscape and quaint villages, is one of Tahiti’s best-kept secrets, a place where you can live like a local. A deep, crystal-clear lagoon surrounds the two islands that comprise Huahine, while magnificent bays and white-sand beaches add drama to the experience. 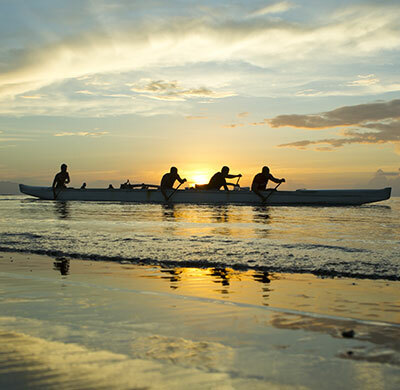 Relatively unchanged by the modern world, Huahine offers the slower, more tranquil pace of old Polynesia. With only eight small villages scattered across the island, the few residents welcome visitors with great kindness. Not surprisingly, this fertile world offers a rich soil providing the local farmers a bountiful harvest of vanilla, melons and bananas. Also commonly referred to as the “secret island,” the “authentic island” and the “secluded island,” many charming adjectives come to mind when mentioning Huahine, and for obvious reasons. 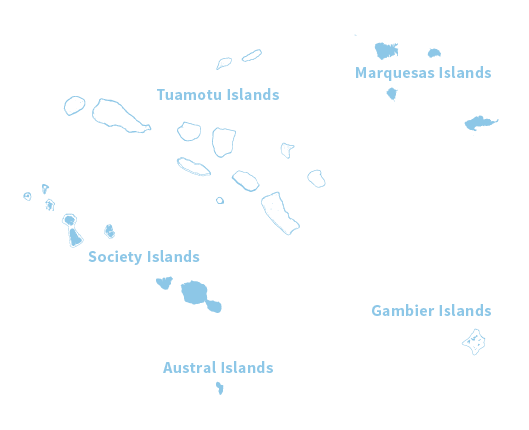 The island is a delicious cocktail of Polynesian sceneries and ambiance. Find natural beauty, experience intense encounters with the population, explore the infinite possibilities for adventure and relaxation, alike. Huahine is an island “to live,” an island “to feel.” The famous local singer and painter Bobby Holcomb has chosen this small piece of land where joy and smiles are always around. 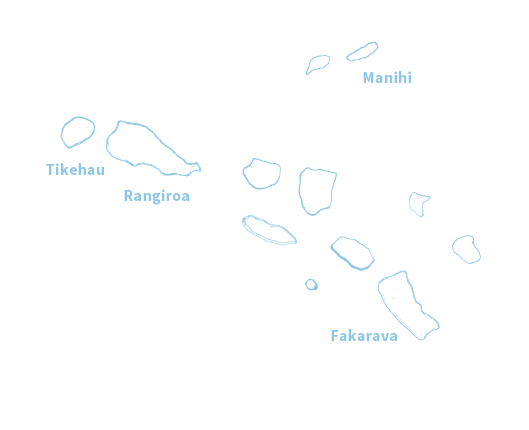 Maeva, North-East of Fare, is located close to the largest of the two lagoons, called Fa’una Nui. It is famous for its farming activities. Stone fish traps – an ancestral legacy that’s still used – along with numerous marae and other archeological remnants are concentrated around this authentic village. A small educational museum was set up under a fare pōte’e (a house where the local knowledge, sacred traditions and rituals were taught) to exhibit objects and other remnants found during the various archeological digs (paddles, axe blades, fish teeth pendants, pestles, tattoo combs….). In Faie, get close to the huge blue eyed eels. Beautiful white sand beaches lie in the districts of Fare and Parea. 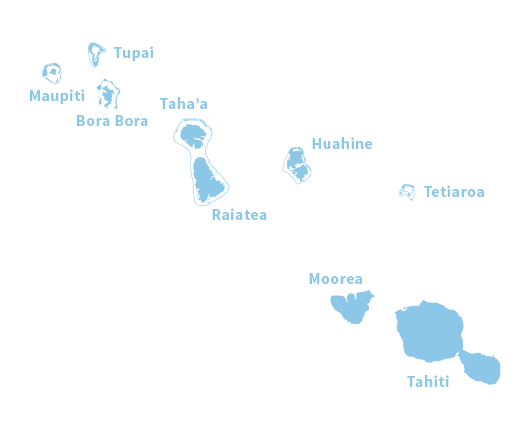 Go on a lagoon ride on the unreal colored lagoon, explore the underwater world (reef walls, fishy caves and coral gardens) and one of the largest archeological areas of The Islands of Tahiti, enjoy a sunset cruise, deep-sea fishing, surfing, hiking, horseback riding, trekking and kite boarding. Water and land activities abound around the island.